CHA2-Q system, Fountain region. On the 19th of March at 19:19 EVE Standard Time, a battle unfolded in the system resulting in the destruction of an Aeon super carrier. The battle was sparked over a tackled Rorqual industrial capital ship. A pair of the ships belonging to The-Culture [-T C-] were busy mining in the system when LowSechnaya Sholupen [LSH] scouts spotted them. The scouts alerted Project.Mayhem. [16-13] who rushed to form a fleet with ally Snuffed Out [B B C]. The two alliances fielded a 130 pilot Proteus strategic cruiser fleet and were soon joined by WAFFLES. [N0MAD], pushing numbers to 235 pilots altogether. The fleet used a wormhole to the region for travel, sending scouts and interdictors ahead to secure the tackle. The Proteus fleet’s tackle squadron came upon the still mining Rorquals and proceeded to tackle them, the main fleet arriving just a few moments behind it. The strategic cruisers started assaulting the capital ships who promptly activated cynosural beacons and their pulse activated nexus invulnerability cores, rendering themselves immune to the Proteus fleets’ barrage. The distressed pilots informed the alliance of their plight and The-Culture hastily formed a 70 pilot Rattlesnake battleship fleet with three force auxiliaries serving as logistics wing. The force bridged to the already lit beacon provided by the Rorquals, materializing on the field in front of the Proteus fleet. The two fleets immediately locked horns, exchanging fire. The Proteus fleet found it difficult to break through the remote shield transfers of the force auxiliaries. In order to destroy the ships, the Proteus fleet continued to apply pressure switching rapidly to catch battleships and force auxiliaries off guard. This strategy worked as the Rattlesnake fleet bled mainline ships volleyed by the strategic cruisers’ combined firepower. The Rattlesnakes however were not able to repay the favor, finding the strategic cruisers too tough to crack. With losses mounting steadily, The-Culture decided to escalate things further. Organizing a small super carrier capital force, The-Culture brought 23 super carriers to the field. The super carriers landed near the Rattlesnake fleet and started aligning, deploying fighter squadrons in the process. The fighters were let loose on the Proteus fleet, destroying a few of the ships before the rest started to pull range and focus their fire on the new menace. 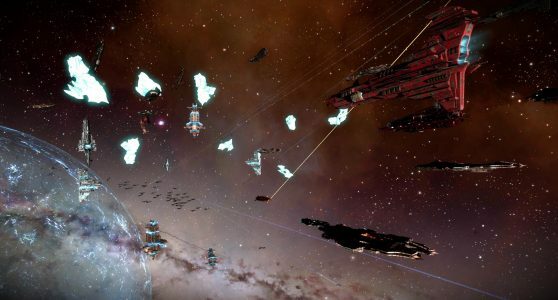 Reacting to this development, the Proteus fleet commanders quickly contacted Goonswarm Federation [CONDI] for reinforcements and started focusing on the super carriers themselves. Interdictors were sent to tackle the behemoths. The Proteus fleet in the meantime worked on neutering the ships. Squadron after squadron of fighters fell to the Proteus fleets’ guns. Before long most of the super carriers found themselves without enough fighters to use against the smaller and nimbler strategic cruisers. Seeing the danger there, The-Culture fleet commanders attempted to withdraw their super carriers, managing to save the majority of the fleet. However one Aeon was momentarily caught in a warp disruption probe, allowing the Proteus fleet to burn towards the huge ship and spread warp scramblers on it. With so many warp scramblers pointing it, the ship was unable to jump or warp off even as the warp disruption probe expired. Maintaining its grasp, the Proteus fleet continued to clear the field of The-Culture forces. Rattlesnake after Rattlesnake was destroyed. Using the cover of the carnage and the thinning ranks of the Proteus fleet’s interdictors, the Rorquals managed to escape. While one prey got away, the Aeon was a good consolation prize to the Proteus fleet. Soon the grid was under its full control, with only the Aeon and the force auxiliaries remaining from The-Culture’s original force. The strategic cruisers turned their attention to the tackled super carrier blasting it at close range. As the ship’s armor slowly gave way and reached low levels reinforcements arrived. Several fleets converged in to aid in the destruction of the ship, including two Goonswarm Federation fleets, a Proteus fleet and a Cerberus heavy assault cruiser fleet. Others present were a small Fountain Core Cerberus fleet and a IT’S ONLY PIXELS [PIXEL] Jackdaw tactical destroyer gang. Together, all these fleets made short work of the super carrier and the stranded force auxiliaries. With The-Culture forces beaten, the various attackers started extracting their respective forces, bringing the battle to a close. Battle report for the CHA2-Q system can be found here. All told the battle lasted 59 minutes with Time Dilation not reported. The system is estimated to have held 600 pilots near the end of the fighting. 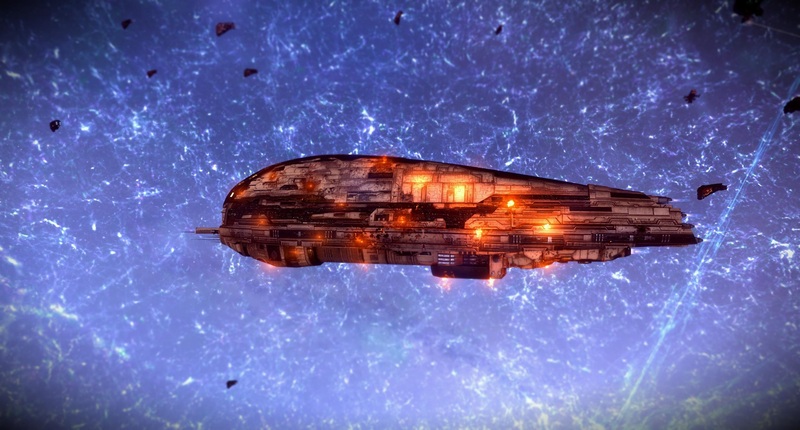 The-Culture lost 86 ships in the battle including 1 super carrier, 3 force auxiliaries and 45 battleships for a total of 68.3 billion ISK in damage. The various attackers lost a combined 53 ships including 3 strategic cruisers for a total of 7.09 billion ISK in damage. *All images used in this article are the property of Hidden_Incum. The original thread can be found here. Hi! This post couldn’t be written any better! Reading this post reminds me of my previous room mate! He always kept chatting about this. I will forward this page to him. Pretty sure he will have a good read. Thank you for sharing! and I find it very bothersome to tell the reality on the other hand I will definitely come back again. whoah this weblog is excellent i love reading your posts. Keep up the good paintings! You already know, a lot of individuals are looking round for this info, you can aid them greatly. Hey! I’m at work browsing your blog from my new iphone! Just wanted to say I love reading through your blog and look forward to all your posts! Keep up the fantastic work! ZArfTz This site really has all of the info I wanted about this subject and didn at know who to ask. hello there and thank you for your information – I’ve certainly picked up anything new from right here. I did however expertise several technical points using this website, since I experienced to reload the site a lot of times previous to I could get it to load properly. I had been wondering if your web hosting is OK? Not that I am complaining, but sluggish loading instances times will often affect your placement in google and can damage your quality score if advertising and marketing with Adwords. Anyway I’m adding this RSS to my e-mail and can look out for a lot more of your respective intriguing content. Ensure that you update this again soon..